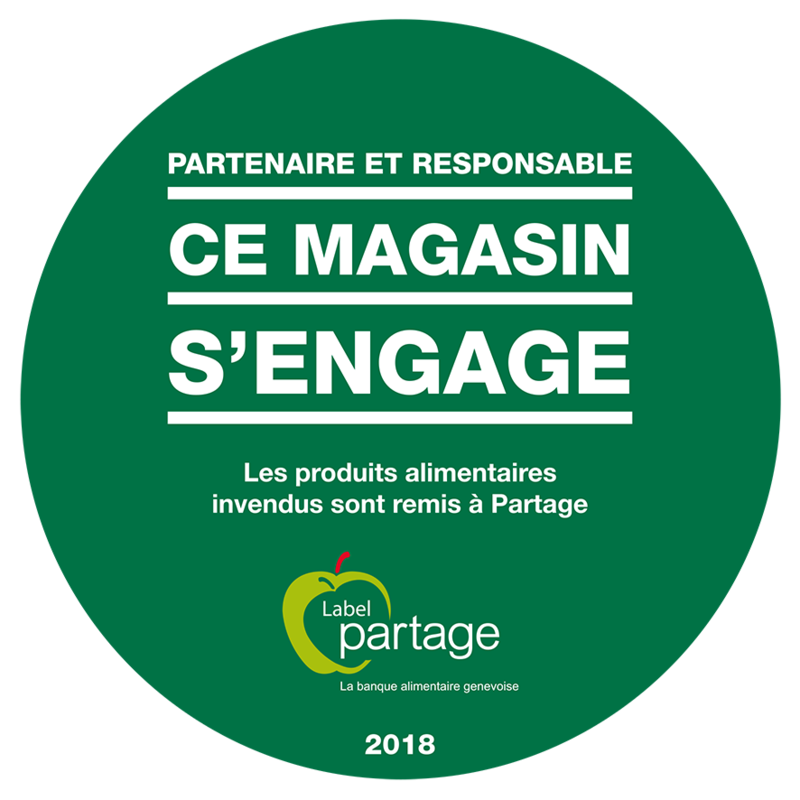 “Label Partage” is a label created by Partage, the Geneva food bank. It is awarded to retail outlets that fight waste by donating their unsold items to the food bank instead of throwing them away. Food articles and hygiene products are redistributed to charitable institutions in the canton of Geneva in order to help persons living in a precarious situation. Who can benefit from the label? Any business or commerce in the canton of Geneva wishing to commit to sustainable development and solidarity with persons in need. Because of regulatory requirements concerning hygiene, food products must be packaged and labelled. The “use by” date must not have expired. Goods donated to Partage must be fit for consumption and may not contain more than 10% waste. Collaboration with Partage must be agreed on a long-term basis, while maintaining an ongoing exchange to optimize and improve recovery solutions. The business must make a significant commitment to the fight against food waste. The business is aware that Partage is a private foundation financed in large measure by private donations. It helps for its part to reduce the costs incurred by Partage by making free deliveries or donations. Social responsibility is one objective of the business. The business shows its sense of responsibility by defining commercial strategies focussed on sustainable development. The business undertakes to communicate its commitment in favour of the Partage food bank to its employees, clients and suppliers.